U.S. trailer orders passed 20,000 in June but declined for the first time in 18 months year-over-year, held back by a fall-off in dry van orders, ACT Research Co. reported. Net orders totaled 20,048. A year ago, they were 20,313, according to ACT. “June dry van net orders were down 14% from June 2017,” Frank Maly, ACT director of commercial vehicle transportation analysis and research, told Transport Topics. Two factors that could have trimmed demand in June, he said, were stronger-than-expected May orders, and some trailer makers are accepting 2019 orders since this year basically is sold out. One trailer maker executive said he has seen a slowing trend for the overall market over the past three months for dry and refrigerated vans. At the same time, Hyundai Translead is operating at planned capacity, he said. “While it may not be true in all cases, labor is readily available to us, so an increase is theoretically feasible. But some component suppliers are being pushed to their limit, so we are managing production in order to not induce a breakdown in our supply chain,” James said. 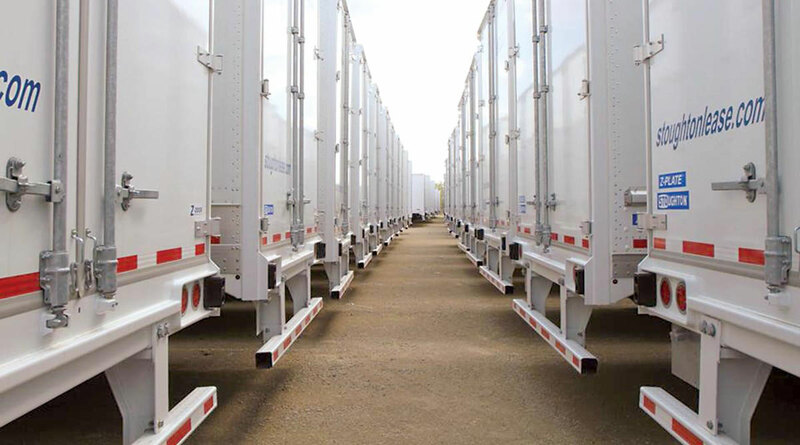 Meanwhile, ACT found fleets are experiencing a Catch-22 in that they are too busy to retrieve completed units, but having those trailers could help ease their capacity challenges, a trend it has noted for the past several months. Research company FTR pegged the orders at 18,600, essentially flat from a year earlier by its calculation. FTR reported the orders in June were acting like they do in a normal market, with a typical curve down at this time of year. Regardless of the lull, production rates remain high, according to the company. Ake said orders could drop to 13,000 in July as a lull continues, then extends into August. Other trailer makers also took June’s decline in stride, reporting strong backlogs and some constraints on production, still. This order slowdown is seasonally normal, said Craig Bennett, senior vice president of sales and marketing at Utility Trailer Manufacturing Co. “But is somewhat exacerbated now by the cost uncertainty of raw materials and components, especially now as we are moving into 2019 production,” Bennett said. Utility’s suppliers are “pushed to the limits of their capabilities to supply without sacrificing quality at current trailer production levels, and thus are limiting trailer production output,” he added. At Stoughton Trailers, the backlog is in excellent shape and longer than normal, Vice President of Sales David Giesen said. But the challenges of finding and keeping employees has meant it has not been able to accelerate production. “Everybody is so strained, right now. [Suppliers] are pushed to the max about what they can produce,” he said. A lot of Stoughton’s trailers — like others in the industry — come off the line incomplete and then are brought back in once the missing parts arrive, he said. “We are looking at things that we have never even looked at and saying, ‘OK, maybe we should try this component,’ ” Giesen said. East Manufacturing’s biggest months of the year begin in March and go through June,” East President Dave de Poincy said. “We have been at above company averages since March in both bookings and production. July, August and September production are reduced only slightly due to a very high backlog,” he said. At Great Dane Trailers, ordering for next year is brisk as demand for 2019 appears to be similar to 2018, said David Gilliland, vice president of national accounts. “The issue for all [trailer makers] are the tariffs, potential future tariffs and the overall volatility in commodities and components. All [trailer makers] need to be cognizant of all of these factors and work with partner customers to structure agreements that are fair to both parties,” Gilliland said. In related news, the hit this year from the Trump administration’s steel and aluminum tariffs is larger than the first-quarter tax savings for General Motors Co., Ford Motor Co. and Fiat Chrysler, according to data compiled by Bloomberg and estimates from Nomura. The duties could eat up anywhere from a third to well more than half of the tax benefits in 2018. The impact would be even worse should the United States follow through with a 25% levy on imported cars and trucks, according to Bloomberg.